Look into any newspaper and you will see at least one story of someone getting hacked. Whether it be a Twitter account or their POS systems, you can’t argue that security is a big issue. Nobody wants their data to be subjected to malware, but not everybody knows how to keep it out. With a managed IT service, you no longer have to. By letting a team of IT professionals handle it for you, you are not only protecting your businesses data, but you’re also saving yourself time and money. 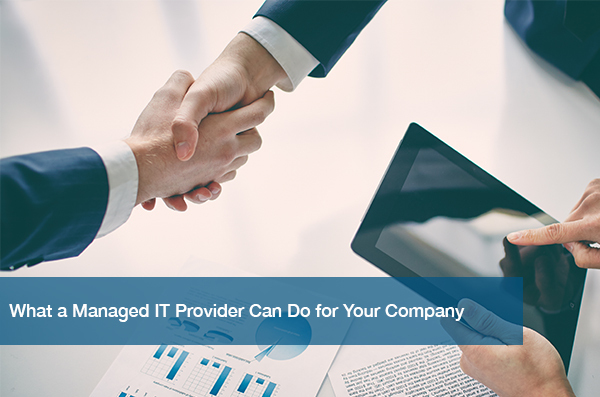 By Hiring a managed It service, you no longer have to worry about handling IT issues in-house. Just give them a call and let them take care of it for you. Here are a couple of ways a company could benefit from using a managed IT service to save them time, money, and worry. One way your company could benefit from managed IT services is allowing them to add hybrid solutions. Hybrid means utilizing both on-site and cloud solutions. This benefits your business by creating a flexible, reliable network for it to work from. Having access to a network like this allows your business to adapt more quickly, making hybrid networks a sought-after strategy in today’s fast-paced world. This network can also help your company by adding a space to back up your data. Data backups are an important tool which can be used to protect your business from malware, saving both you and your client’s sensitive information. Malware is an increasingly dangerous threat to businesses today. As such, we need to make sure we are taking the proper steps to prevent malware from infecting your business. Managed IT services have great security options, mitigating the risk of utilizing internet connectivity for your business. Hybrid solutions can do more than defend your business against viruses, though. They can be utilized to aid your company’s productivity as well. By using an intranet in your company, your employees can share ideas and files faster. It also allows you to keep your staff updated in real time, ensuring that nobody is out of the loop. One of the most important things a managed IT service can provide for you is raw talent. Austin has a booming tech industry which helps transform talented people into skilled professionals. These technological wizards can offer your business a wide array of support for your business, but hiring the right ones can put a dent in your businesses funds. When you hire a managed service to handle your IT, you are getting the best of both worlds. They allow you to have a fully armed IT army at your disposal, for a fraction of the cost of staffing your own. This allows you to focus on your business without having to worry about your It support. With this in mind, you should consider outsourcing your IT services. A great way to start your search is with ITC’s eBook, 5 Steps to Hiring the Right IT Support Partner. The examples listed here are only a few of the benefits a managed service can provide for you. ITC has a massive selection of products and services that can provide value your business. Give ITC a call today and let us help you by supporting your company’s IT, so you can focus on business.